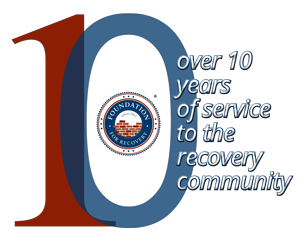 In FY 2018, Foundation for Recovery received a grant from SAMHSA (the Substance Abuse and Mental Health Services Administration), to launch the Nevada Recovery Network Project. This project aims to promote, support and enhance addiction and mental health recovery community and peer recovery support organizations and services throughout Nevada. The first of its kind in Nevada, this project will work to address the absence of the peer voice in our behavioral health service systems, educate recovery stakeholder organizations and peers on how to develop best practices and policies; and stress the importance of why we need peer recovery support services to sustain recovery in Nevada. and provide Certified Peer Recovery Specialist trainings and Recovery Leadership Skills training to build capacity. Recovery stakeholders can participate in this meeting virtually or in person. Meetings are hosted at our Recovery Community Center in Las Vegas.